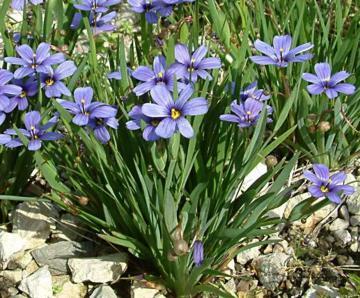 Small, clump-forming semi-evergreen perennial developing fans of narrow sword-shaped leaves. Star-shaped blue flowers in summer. Suitable for rock, scree and alpine gardens.